The area around East Passyunk has experienced a bit of a revival over the past decade. If you love going out at night or enjoying a great meal, find out why Food & Wine magazine named the avenue one of 10 “Best Food Streets” in 2013. 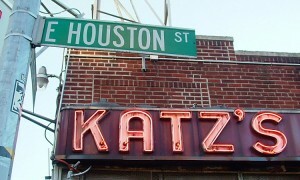 The area around East Passyunk in South Philadelphia is known for a lot of things. There’s the Singing Fountain, which is the site of a weekly farmers’ market in the summer, as well as a number of other events, from poetry readings to opera. 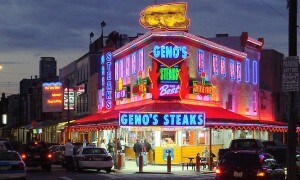 There’s also Pat’s and Geno’s, the two cheesesteak restaurants that sit kitty-corner from each other and seem to be locked in never-ending competition. More recently, the area has become known for a slew of great restaurants and bars — so much so that in 2013, Food & Wine magazine put it on the list of their top 10 best foodie streets in the country. Whether you’re currently living in Philly or thinking of moving here, make sure you put East Passyunk on your list of places to check out. The restaurants along East Passyunk Avenue run the gamut, from casual eateries selling cheesesteaks and pizza to more upscale fare. Fine dining options include not only French, Italian, and American cuisine, but also Norwegian and French-Canadian menus. The Avenue also offers a mix of new and old. Some establishments have been open for decades, such as Marra’s Cucina Italiana, which has been in the same spot for 80 years, while others have opened over the course of the last few years. Flavors of the Avenue, an event that’s held in the spring each year, lets you sample from the menus of each restaurant on the street. Passyunk Avenue isn’t just a dining destination. It’s also a great place to kick back and enjoy a few games. Garage, a bar located across the street from Geno’s Steaks, has a unique concept. Instead of BYOB, it’s BYOC — bring your own cheesesteak. You can bring in a cheesesteak from across the street or take advantage of the food cart in the middle of the bar, which features a rotating cast of popular chefs from around the city. Another thing that makes Garage fun is the presence of not just a pool table, but also Skee-Ball and pinball machines. Sometimes, you feel like cooking a full gourmet meal at home. Before you do so, you can stock up on ingredients along the Avenue. From the start of summer through the fall, head to the Singing Fountain every Wednesday afternoon to pick up fresh vegetables and fruit, as well as bread, cheese, and other dairy products at the farmer’s market. The rest of the week, you can find a selection of locally grown and produced foods at Green Aisle Grocery, which offers everything from locally roasted coffee to specialty bitters. The shop also launched its own line of pickles and preserves in 2012. Whether you’re in the mood for sushi or Skee-Ball, you’ll find it on East Passyunk Avenue. The street has so many options, you might find yourself returning there night after night just to take it all in.